Congratulations to the February Fan of the Month contest winner, Jennifer from Chicago, IL. Read Jennifer’s story below. What’s one thing that sets you apart from other Rascal Flatts fans? I truly love who the guys genuinely are. I love how they love their fans. I love how much they care about us. I love how their music changes our lives, heals us, saves usI love being able to sing right along with them in the pit. I love being able to see them for just long enough to get a pic and a hug from them. I love every mile I’ve traveled in 18 years just to see them live. 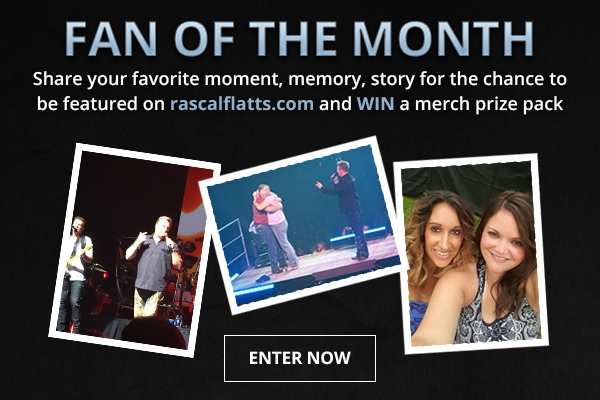 Tell us your favorite Rascal Flatts related story: My most memorable story is during a M&G I asked to have just a few extra minutes (I was the last in line). I wanted to thank them for saving me during a dark time with their song “Stand”. I shared my story of surviving Domestic Violence with them and I just wanted to know that it was them, their music, their voices that helped me find my strength. Being able to share that with them and to talk to them about my survival meant more to me than anything. And of course how they gave me extra hugs and said they were glad I was still here. I will love those three men for life. They are truly a blessing. 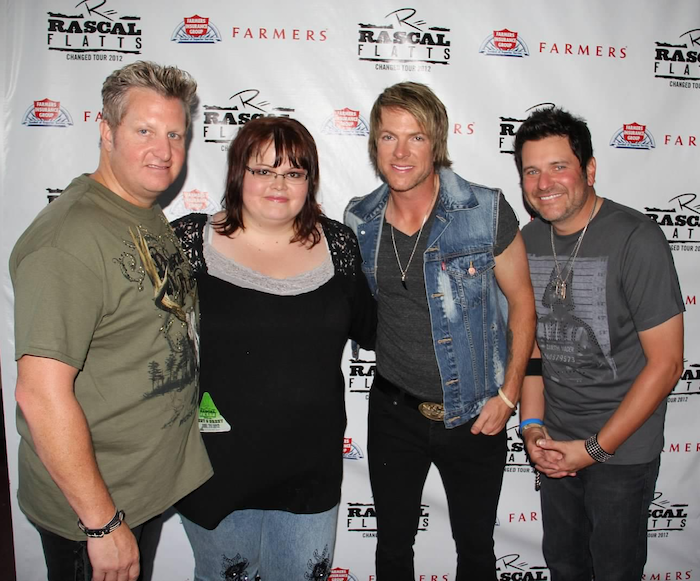 Congratulations go out to Jennifer, she will be receiving a Rascal Flatts prize pack!